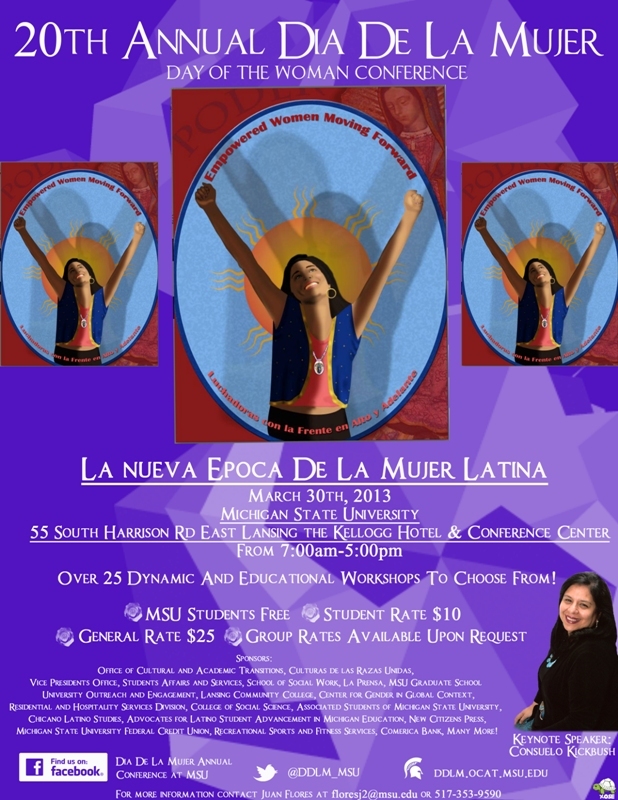 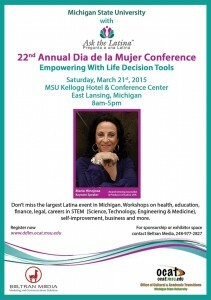 The Día de la Mujer (DDLM) conference, coordinated by the Office of Cultural & Academic Transitions (OCAT) and sponsored by C.R.U. 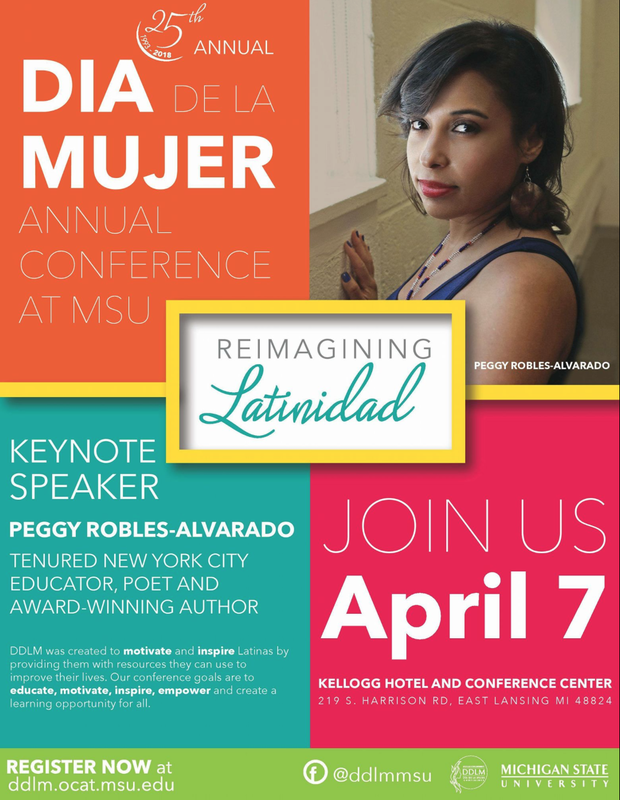 and other MSU departments, is an event that has become a source of education and development for the many hundreds of people it attracts each year. DDLM provides an environment where networking connections are made for employment and educational opportunities for Michigan Latina empowerment. 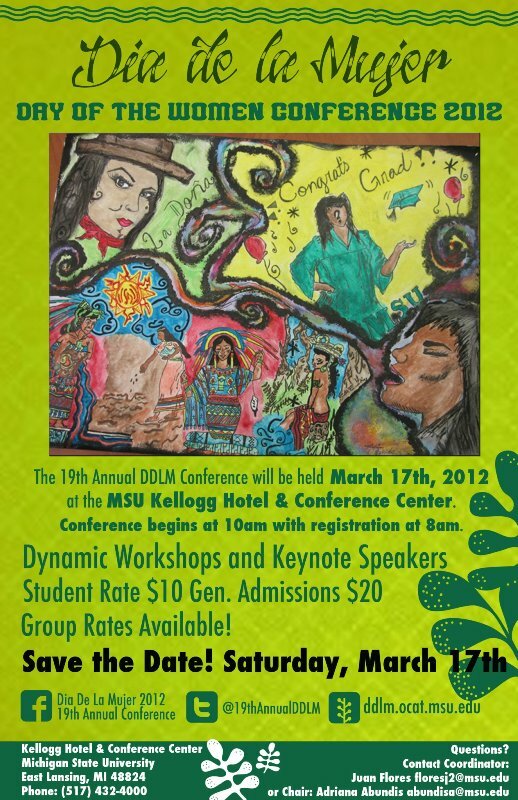 In the twenty five years of DDLM history, a great number of issues and concerns have been addressed through keynote presenters, forums and workshops facilitated by Latina experts on education, health, politics, community, family, history, culture, professional, and personal development areas. 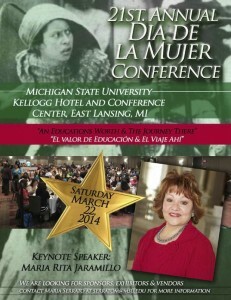 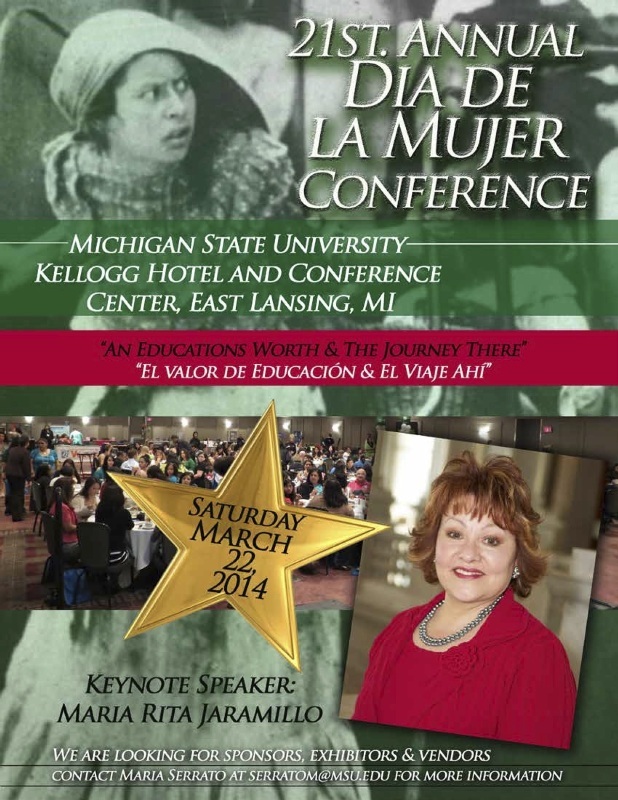 DDLM is the only conference of its kind in the state of Michigan and serves as the premiere leader in enhancing the Latino community to reach new levels of success. 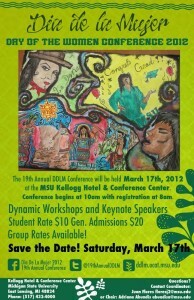 DDLM is organized by a planning committee consisting of MSU students, MSU Faculty, MSU Staff, and community members from across the state. 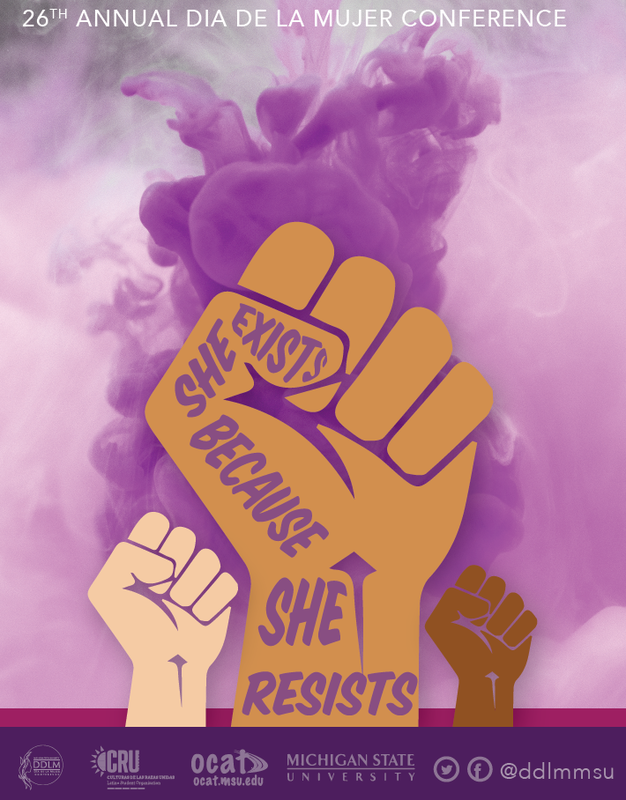 If you would like more information regarding: The Planning Committee, Offering a Workshop, Donations, Group Rates, Purchasing a booth for your organization, etc. 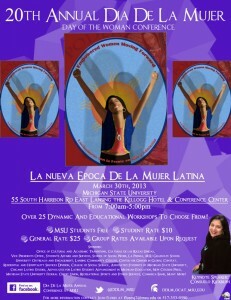 contact Juan Flores, DDLM Coordinator at (floresj2@msu.edu).